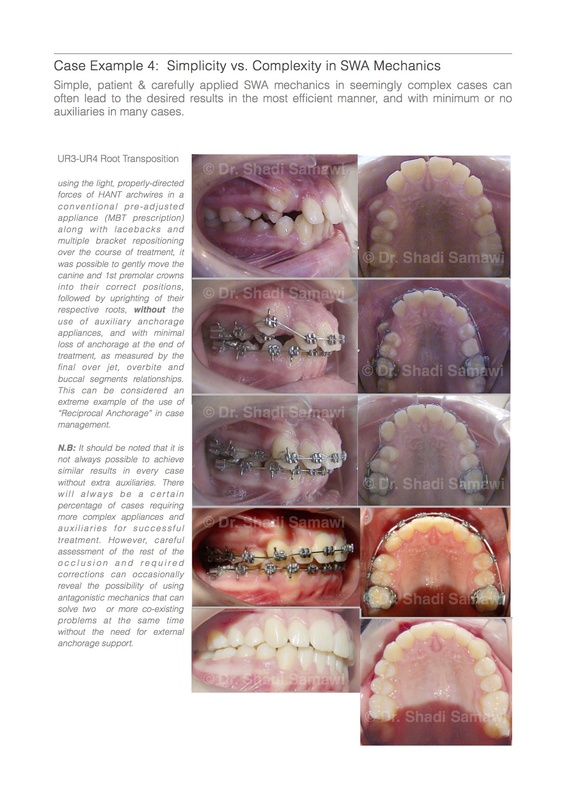 Retouching on the idea of productive simplicity in orthodontic treatment, I have decided to present in this post some examples of what I believe to be unnecessary over-complication of orthodontic appliances in treating certain types of orthodontic problems. Such cases often present at one’s practice seeking second opinions about their “lengthy” or “traumatic” experience with fixed appliance treatment in particular. Usually, at the first look inside the mouth, you clearly realize the problem; there are so many different attachments, elastics and wires of different sizes and designs inside the oral cavity that not only is it a playground for various complex contradictory mechanics and force vectors, but can also present a serious hazard to the patient’s safety and oral hygiene. The mechanical validity of any approach is not – by itself – justification enough to apply it in the oral cavity unless it also complies with other requirements such as simplicity of use and adjustment, the ability to maintain good oral hygiene around it and overall improved safety. Even in Maximum-anchorage cases, too many attachments and auxiliaries can unnecessarily complicate the situation and may even result in reduced anchorage conservation due to overuse of force vectors in various forms and directions. Reduce unnecessary potential complications, breakages and mistakes, from all the extra auxiliaries. Maximize efficiency and reduce chair-side time, and – often – overall treatment time. Maximize the patient’s safety and ability to maintain a high level of oral hygiene during the course of treatment. Example 1: Overuse of auxiliaries and force vectors in various forms and directions. 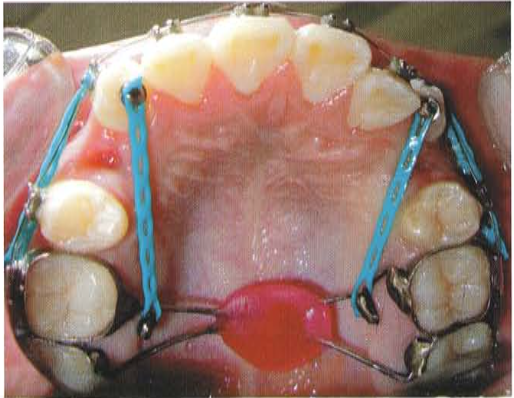 Example 2: With efficient sliding mechanics techniques using rectangular archwires, simpler and more efficient space closure can be achieved without the unnecessary “over-complication” of a “make-shift” Power Arm onto the upper canines, with the associated bulk, reduced oral hygiene and possible trauma. Example 3: It is simpler, more efficient and less traumatic to attempt such minor space closure through bodily movement using full size rectangular working steel wires and a simple power-chain. The end result would be the same – if not better – minus the gingival trauma and inflammation. 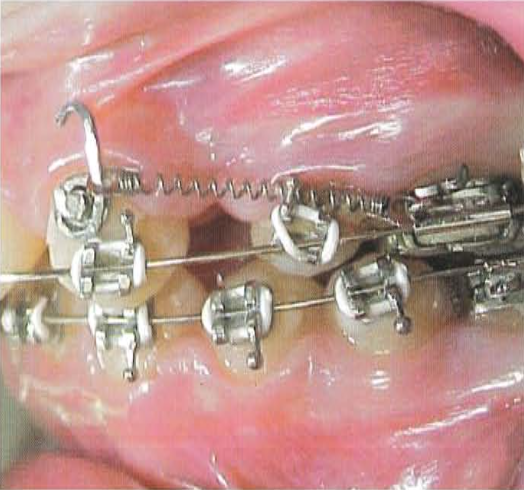 Simpler, cleaner mechanics in complex cases can achieve great results with minimum fuss and patient discomfort. 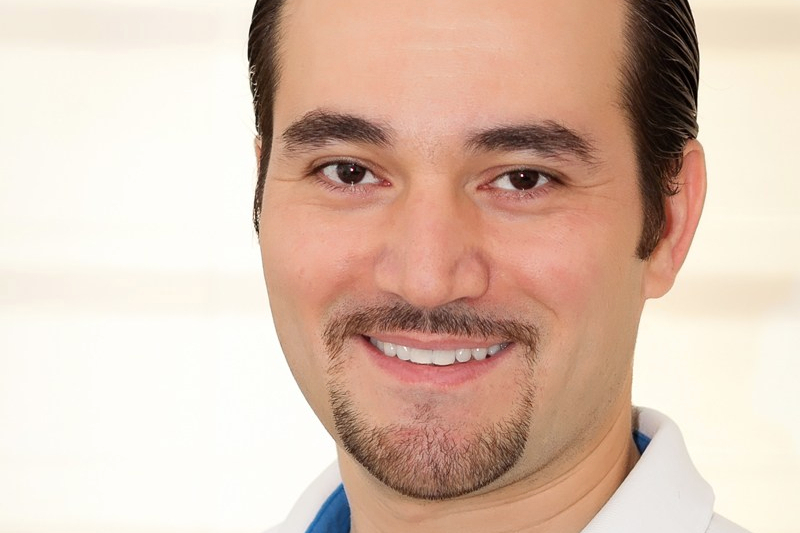 The keys to elegant and successful orthodontic treatment are simple: a thorough clinical history and examination, leading to the correct diagnosis and treatment plan, and then using the simplest and most efficient method to achieve the desired treatment objectives. I totally absolutely agree Sami. That is why My V-Bend Technique Had simplified All orthodontic practice for me throughout my 34 years of Orthodontic practice. I Literally abandoned MANY of the techniques we learnt in universities that used complicated hardware mechanical designs to reach Orthodontic goals. 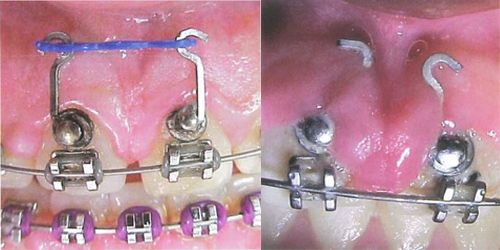 Examples of these are: Spacers and Bands, all kinds of Headgears, all kinds of Expanders, Removable functional appliances, and other complicated designs used in literature to correct Over bites or Cross bites. All the alternatives in my technique did adhere to all optimal biomechanics principles that secures all the following requirements. 1. Simplicity. 2. Better efficiency. 3. Chair-side time saving. 4.Easier clinical applicability. 5. Patient’s dental safety, and comfortability. Thank you Dr Khoury. Really appreciate your comment on my blog post. Indeed, simplicity is key.